The Allegro AC Axial Blower offers the highest output available from an 8" axial blower. 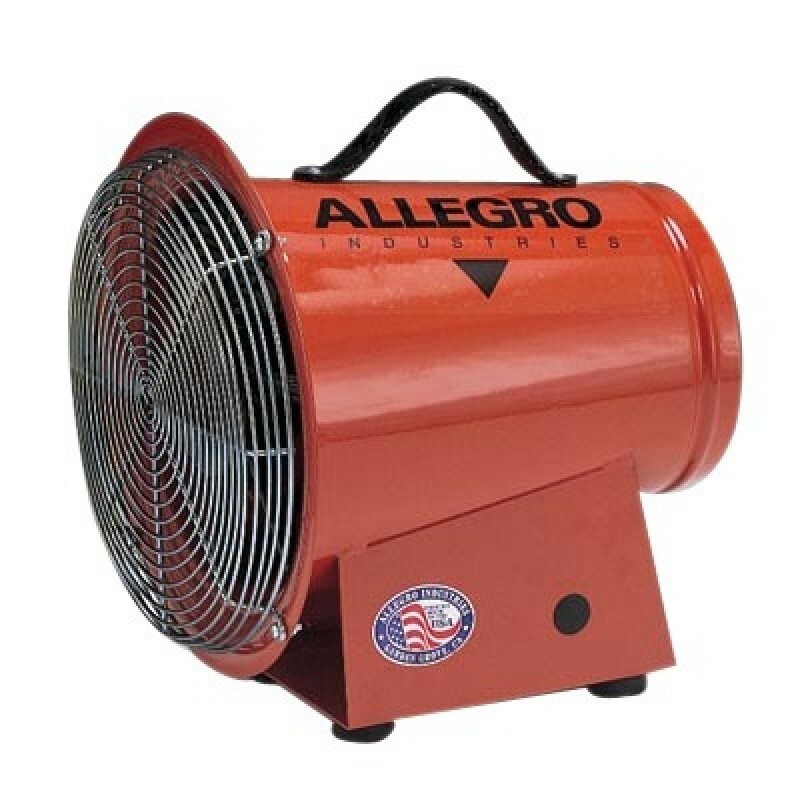 With its compact design, this blower is light weight and easy to store. Although this system is compact, it does not sacrifice airflow as it is also designed with tough steel construction, a durable grill, convenient carrying handle and rubber feet. Certified to CSA STD C22.2 No 113. Air delivery certified CEESI. The DC Model is perfect for locations where electricity is not available. This model is also 8" and may be operated off a truck battery. The DC Model features a 12 volt DC electric motor with thermal protector, single speed performance. Includes a 15' cord with alligator clips, and is very light weight and portable.